so sorry i missed it! these are great drawings Frances! the giraffe really pops! Thanks, Gabi. 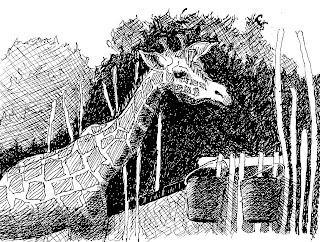 It only takes trying to draw one or two to develop a fondness for hungry, curious, wiggling giraffes.